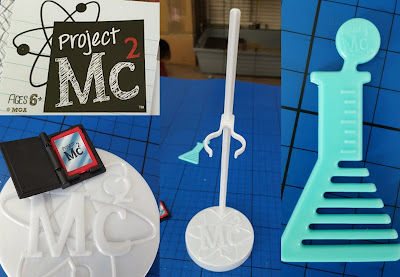 The Brick Castle: The Project MC2 Doll - Complete With Her Own Science Experiment! The Project MC2 Doll - Complete With Her Own Science Experiment! Project Mc2 started as a TV show on Netflix in which a group of girls become spies and use Science and Maths to solve problems. It aims to help show young girls that 'smart is the new cool' and Science can be fun that's relevant to them. 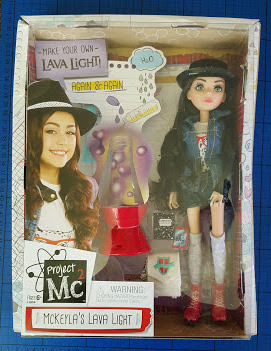 The people behind Project Mc2 have now released a range of accompanying dolls, each with their own scientific experiment in the box with them. We've been sent McKeyla McAllister to review. 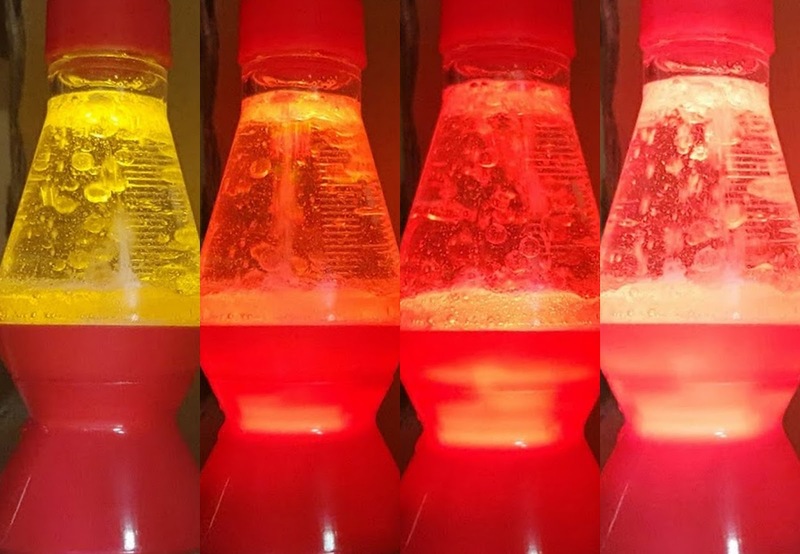 She has a lava lamp, which can be made using only the addition of 4 everyday household kitchen ingredients - water, vegetable oil, food colouring and an effervescent tablet. Such an easy experiment, and very effective. (If you don't regularly use effervescent tablets for vitamins or indigestion or anything else, they are available on the shelf in the supermarket for less than £1). 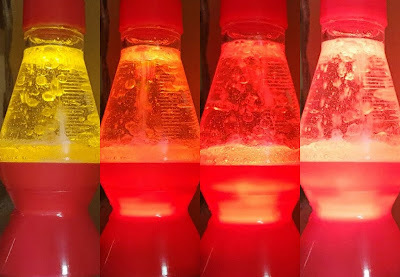 I don't have any young girls here, so I left it to my 15 year old daughter and 7 year old son to make the lava light. 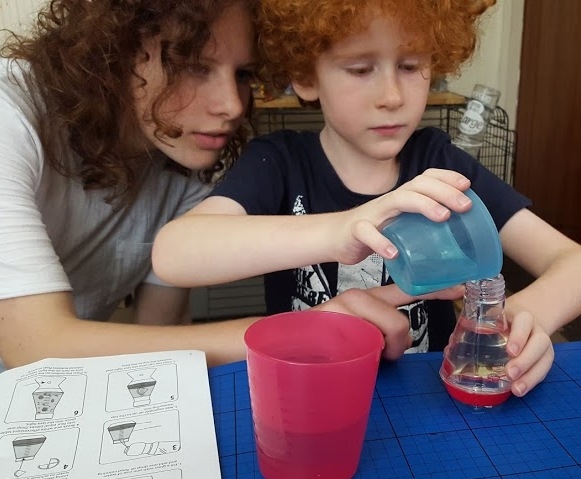 My son was learning Science - measurement and understanding chemical reactions. 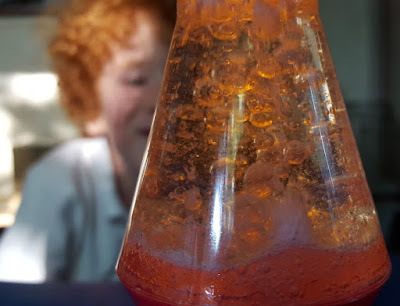 Traditional lava lamps make bubbles using heat, ours uses Carbon Dioxide! 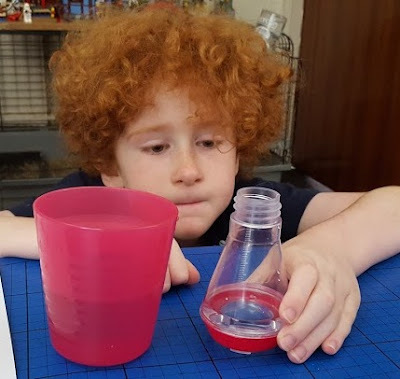 It only takes 5 minutes to do the experiment, which can be repeated infinitely - you can even have repeated use of the liquid before you need to replace it. The addition of a colour-changing LED makes it really very good, and the effect lasts around 4-5 minutes each time. The doll herself is lovely. She's beautifully coloured and the face transfers are really nicely done. I'm very jealous of her clear skin. She has incredibly long hair and I'd have loved her as a child. Her clothes are well made and nicely designed with some lovely detail. She is overly tall and doesn't have a realistic figure, and the overknee socks are a little much in my opinion, but I can see that she will really appeal to exactly the sort of young ladies who wouldn't usually be interested in Science - and that's the point. 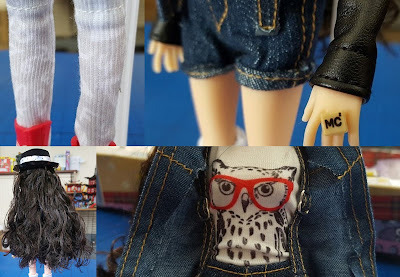 Our Project MC2 doll McKeyla can stand alone, but it's very tricky. She does however come complete with a stand and hairbrush and a lovely miniature composition book which opens to reveal her secret Project MC2 ADISN - Advanced Digital intelligence Spy Notebook. You can find out more about the ADISN on the Project MC2 website, where you can also become an honorary member of NOV8 and watch videos, play games and answer quizzes. There is a free app. 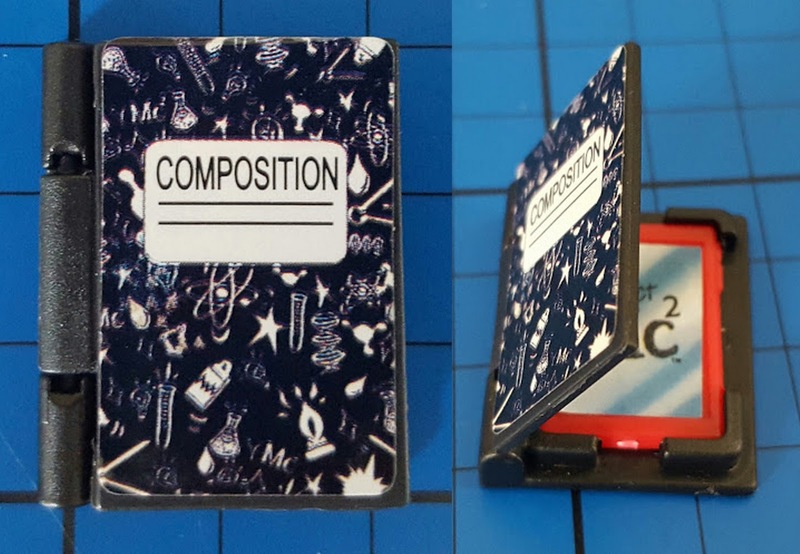 the Project MC2 Case Files, where you can be the spy and find and solve clues for over 1000 missions. My 15 year old daughter has always had a love of Science and even took part in the Big Bang a couple of years ago with her school. 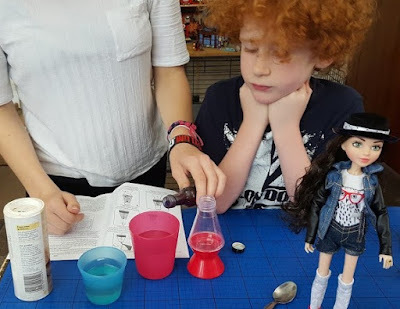 She feels the doll would be better with a more realistic figure, but that the experiment and overall product are very good. 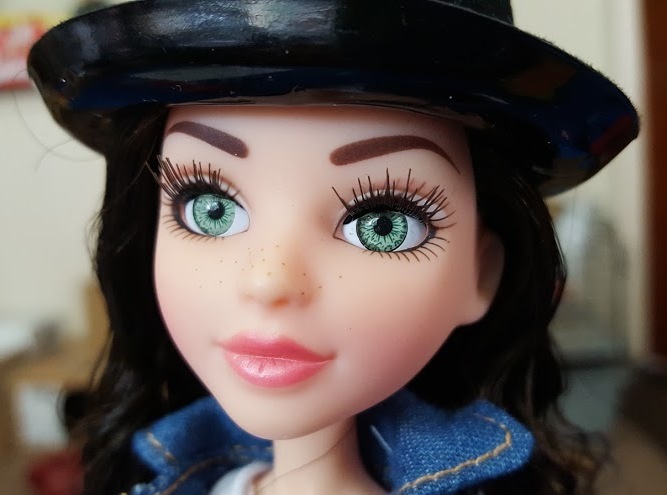 Both my daughter and I felt that the Project MC2 doll is likely to appeal to most girls who are aged around 6-11, and it normalises thinking through problems and looking for sensible ways to solve them. It does give a different view of a female Scientist, a more attractive and exciting image and that is a definite improvement. I do however have a criticism. Project MC2 is a great initiative and I hope it works to encourage girls to value more than just how they look. It disappoints me therefore that the manufacturers of the doll felt a need to make her with such a disproportionate and anorexic figure - that message does not gel with the message behind Project MC2. Overall a great idea, and I hope it finds it's way into the hands of lots of young Science-sceptics this Christmas.